Adapting communication resources is important because not every child in the world knows who wears a red suit and says “Ho, Ho, Ho”. 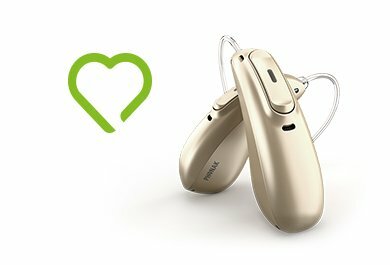 If you’re a hearing care professional, you’re likely familiar with the Hear the World Foundation. If not, it’s a non-profit organization doing incredible work, campaigning worldwide for equal opportunities and a better quality of life for people with hearing loss. It particularly supports projects designed to help children in need with impaired hearing by providing funding, hearing aid technology and expertise. The list of their projects is long (over 90 projects in 39 countries) and one of them has been their involvement with #HearMalawi. In close cooperation with the Australian organization EARS Inc., and the African Bible Colleges (ABC) Malawi, the Hear the World Foundation has been supporting people with hearing loss in Malawi since 2011. The focus has been on building and establishing the ABC Hearing and Training Center in Lilongwe. The Center has been running since 2013 and their local clinicians are providing exceptional hearing care to those living in and around the capital city of Lilongwe. It’s a real success story. They even have an Outreach program to ensure that those living in remote areas have access to hearing care as well. The Hear the World Foundation recently sent a call out for volunteers for #HearMalawi and one of the professionals requested was a speech therapist. The clinicians in Malawi made the request because many kids they see for hearing tests have speech and language difficulties. In a low income country like Malawi, children with untreated speech and language difficulties have little chance of receiving a school education. Because of this reality, the goal of the ABC clinic is to add resources to their toolbox so families can leave appointments with some guidance on how to promote speech and language development in their children. As a speech-language pathologist, I was excited to apply for this position and thrilled to be accepted. Initially, I thought this would be a straightforward task. I worked as a clinician for years so I’m familiar with communication tools and in my role on the pediatric team at Phonak, I am involved with creating resources for families that promote timely speech and language development. Quick and easy, right? Not exactly. Let me tell you about my experience. One of our first activities was to visit the local speech therapists and discuss the current status of speech-language services for children in central Malawi. What we discovered is that there are only 3 local centers that offer speech and language therapy and 2 are privately funded. And, the one center that offers free therapy only has a clinician available to see children one morning or afternoon a week. This means that there are ~4 hours available per week to meet the speech/language needs of all children in central Malawi who cannot afford private therapy. Wow. The majority of kids who have speech and language difficulties do not have access to any intervention. With such limited therapy options, early intervention resources would definitely need to be optimized. So, where do we start to improve resources? Well, we started with looking at what speech and language resources are being used in Malawi. Not surprisingly, most material was developed in North America. Common speech battery assessments use pictures of people, places and things to elicit speech sounds in different positions of words. One of the common pictures to test the /v/ sound in English is a picture of a “vacuum”. Perfect, if you’re a child who has a vacuum in the front hall closet, but what about a boy from Malawi who has never seen a vacuum in his life. And when you want to assess /h/ and show a child a picture of a house, does a child in Malawi identify with a picture of a 2 story brick house with an attached garage? Probably not. And a picture of Santa Clause to assess the letter /s/ in English just doesn’t make sense for a child growing up in one of the world’s least developed countries. They don’t know ‘Santa’ but they know ‘soccer’ which also starts with /s/. Adaptations were definitely needed, and possible. This was the most rewarding part of my visit to the clinic. In order to improve the binder, one afternoon, a small group of us sat down to go through a list of words/pictures to put them in the “Keep – Toss – Adapt” pile. Some were easy. Picture of children swimming in the lake…..Keep. But what about the picture of a horse? The clinicians at ABC clinic enlightened me. Children in Malawi are surrounded by donkeys, not horses. If a child sees a picture of a horse, the child would say “donkey”, or “bulu” in Chichewa. I loved their enthusiasm for ensuring every picture in our “keep” pile was appropriate. We are using pictures of people, places and objects that are found in Malawi. The clinicians then translated all the words into Chichewa so we will have 2 versions, depending on the primary language of the child. The result will be two versions of the adapted binder, one to elicit speech sounds in English and one for Chichewa. Image of pictures to elicit the words, ‘fishing’ and ‘shoes’ (to assess initial /f/ and /sh/) and (‘Kuwedza’ and “Nsapato” in Chichewa to assess initial /k/ and /ns/) for the new adapted binder. We decided that another need of the clinic was to create a booklet that could be given to parents of newly diagnosed children to guide them in helping their children develop speech and language. If we could support a language rich environment at home, then hopefully, the kids newly fit with hearing aids wouldn’t need speech therapy later on. For this, we discussed what activities were typical for a Malawian family, and which activities would not be common. For example, in North America, we might tell families to read their child a book at bedtime and talk about the story together. Well, ‘bedtime’ is not a common concept in Malawi. Most children do not put on their pajamas, have a night time snack and have a book read to them before bed. My colleagues smiled when I described this routine and told me that kids and Malawi go to sleep when it’s time for bed, there is no ‘routine’. But, I learned that there are many other language-rich opportunities for Malawian children. For example, music is a big part of their lives and singing songs can be enjoyed when meals are being prepared. As they described many of the traditional songs (a Malawian version of “Head and Shoulders, Knees and Toes”), I smiled. These widely-known Malawian songs would be perfect examples to give families. We didn’t get a chance to finish the resources before I left, but we are going to be collaborating remotely. I’m really excited to see how families respond to these new resources once they’re ready. My goal is that no child in Malawi is given a picture of Santa Clause to assess the letter /s/. Thanks to the enthusiastic clinicians at ABC Hearing Center, they won’t have to. 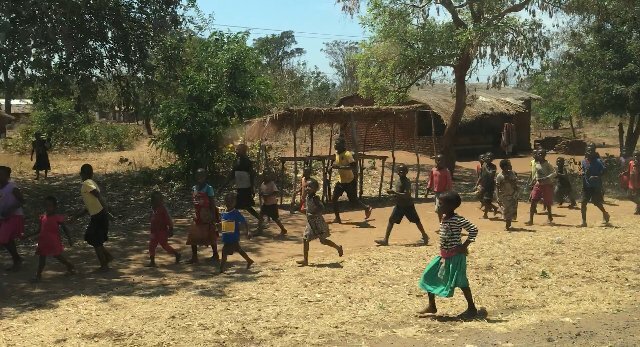 I invite you to read Ora Buerkli’s recent blog post about her #HearMalawi experience. Thanks so much, Ryan. I feel lucky to work for a company that supports me in doing what I love. This is a really enlightening article Lisa-thank you for sharing! I love how proactive you all were in creating language/ culturally appropriate materials for the children in Malawi. And we can all learn from this in our own multicultural/ lingual countries. Thank you! Thanks for the kind words, Jane! I agree. Offering language/culturally appropriate materials is important wherever in the world we practice. Thanks, Alinane! I really enjoyed my time with all of you at ABC Hearing and Training Center. You’re doing incredible work and making a remarkable difference in the lives of so many in central Malawi. We, at Ear Gear, read many of your articles and commend you for bringing attention and light to the various charity work and need like this in other countries. Do you think there would be any way we could help with donations of our product? We have donated to several other organizations and always receive wonderful feedback on how Ear Gear has helped to protect newly fitted hearing aids against damage and loss in particularly dusty, rainy countries such as Africa. Please let us know if we could help. Thank you! Lisa worked as a clinical speech-language pathologist in Canada for over 15 years before moving to Switzerland and joining Phonak HQ in 2016. 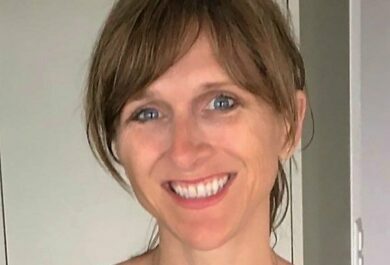 She presently enjoys two roles at Phonak - Editorial Manager of the Phonak Audiology Blog and Pediatric Rehabilitation Resource Manager in the Pediatric team. Audiologists are taught the importance of the audiogram. For good reason, as audiometry is the gold standard for diagnostics. But there is more to life than pure tones in quiet, right?